it's day 3 of rainbow week! i love marbling with alcohol inks. it's really easy and pretty too! all you need is a container of cold water and make sure to use a container you don't mind staining (i used a disposable aluminum pan). 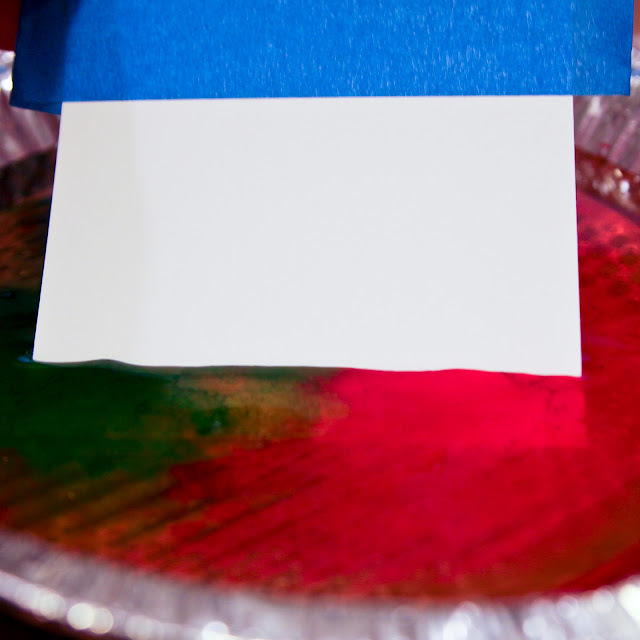 to the cold water, add a few drops of each color of alcohol ink. then just dip your cardstock! any cardstock will work but i like the smooth finish of solar white. 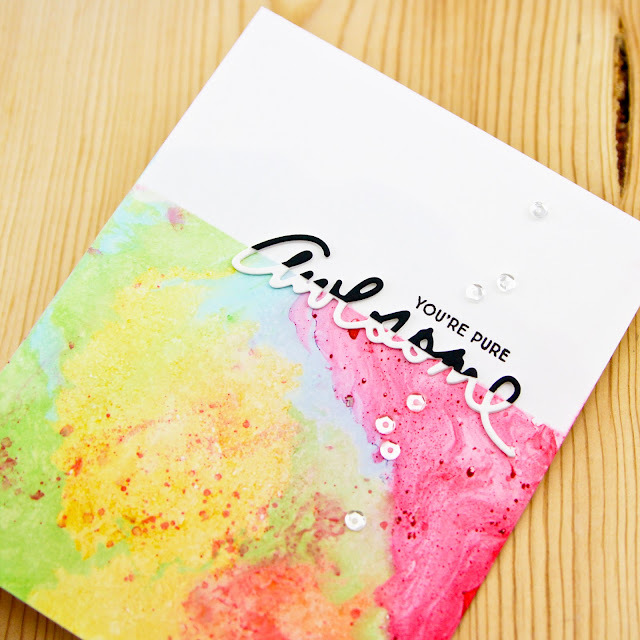 for this card i applied a strip of painter's tape as a mask and then just dipped to my tape. 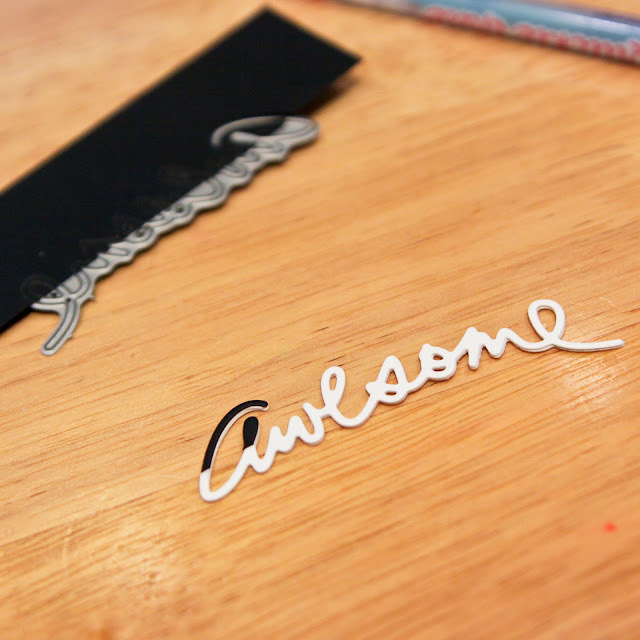 to create my sentiment, i die cut 3 white cardstock awesomes using the essentials by ellen positive word set. i used a glue pen to adhere them together. 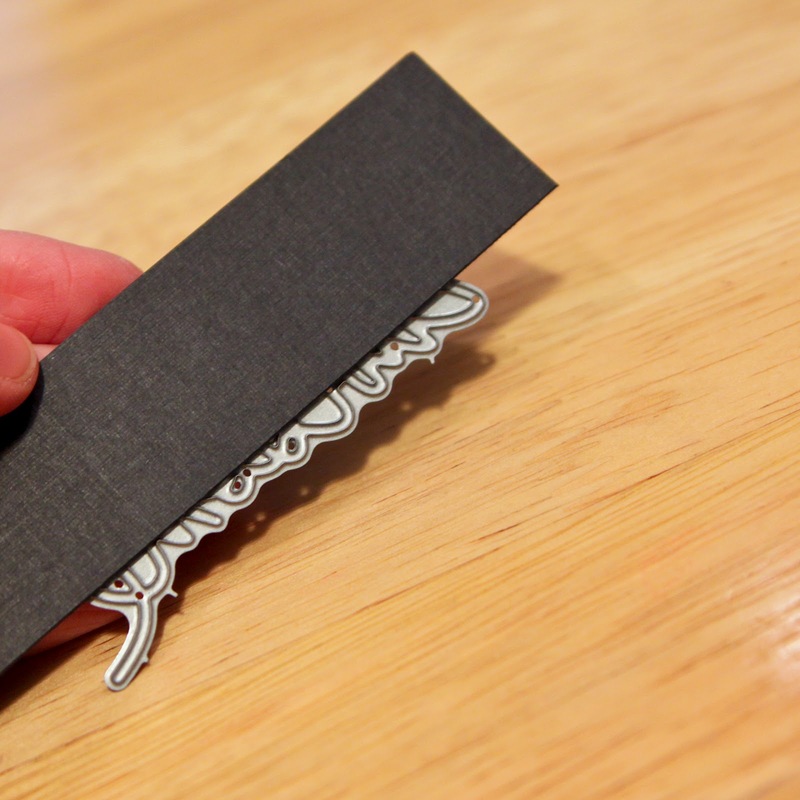 then i cut the partial black cardstock awesome by securing a strip of black cardstock to half of the die with washi tape. i removed each small section and used a glue pen to add it to the tops of my white letters. i combined the dimensional awesome with a little avery elle sentiment. p.s. don't forget to enter the $25 ellen hutson llc giveaway...just leave a comment here or post about rainbow week on social media and tag me! Oh this is so awesome!!! Love the technique too! What a fun and easy technique. 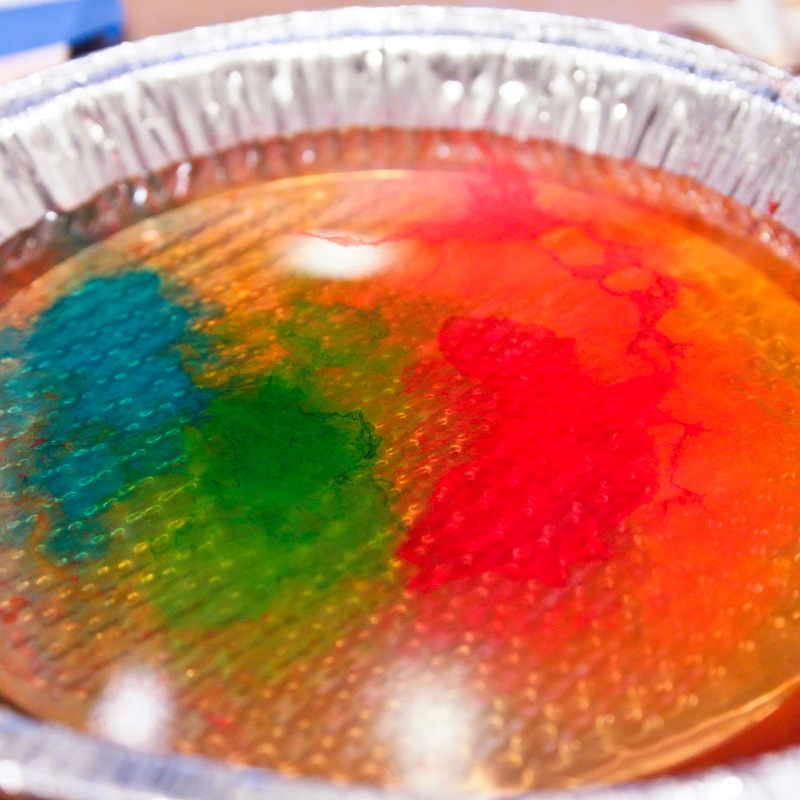 Must give this a try since I have oodles of alcohol inks! Woah. Another cool card and technique! Cool marble effect. 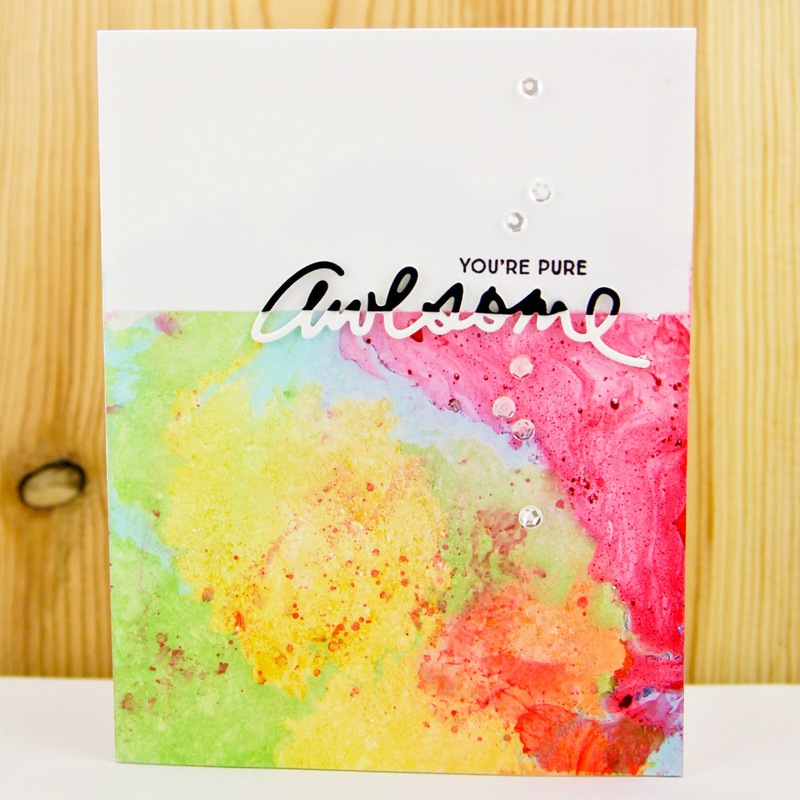 Haven't tried alcohol inks, but have been thinking about checking them out. Thanks for the inspiration!